Ghana forward, Jordan Ayew has insisted that the experience and leadership qualities of Asamoah Gyan will be crucial if Ghana is to win the 2019 Africa Cup of Nations. According to Crystal Palace forward, despite the niggling injuries hampering the efficiency of the Black Stars captain, it will be imperative for other strikers to step up and score enough goals at the Cup of Nations. The 27 year old further insisted that “Gyan is irreplaceable because he has done a lot for the Black Stars”. The former Liberty Professionals forward limped off with an injury while playing for Turkish top-flight side Kayserispor in their friendly against Adana Demirspor on Saturday. 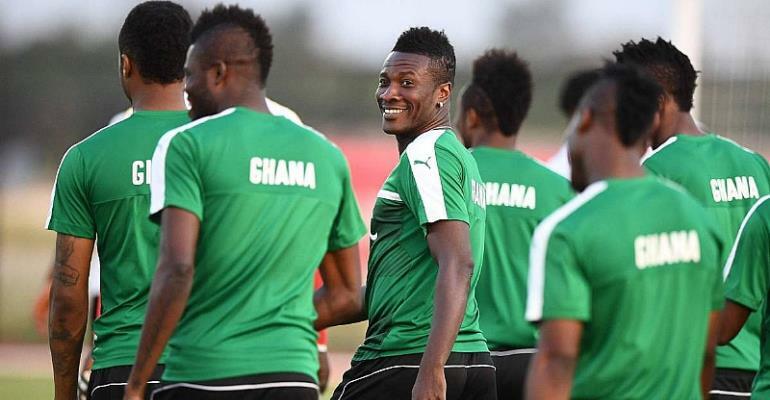 Gyan is hoping that he can lead his national team, the Black Stars to his final AFCON appearance in June. The Black Stars have set a target of breaking their 37-year wait for an AFCON title after last winning it in 1982. The much-anticipated tournament will kick off June 21 to July 19 in Egypt.